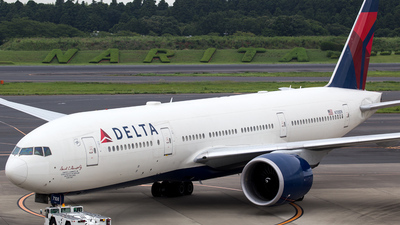 Note: Pushing back at Narita. 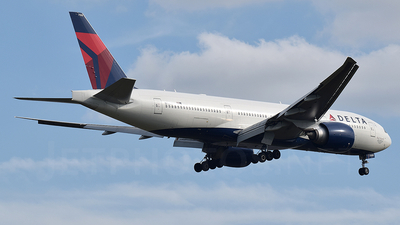 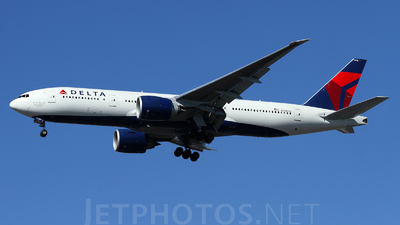 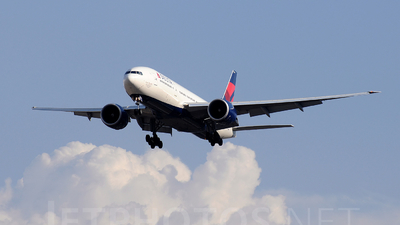 Note: Delta Air Lines flight DL72 from Atlanta on short final for runway 06 (Kaagbaan). 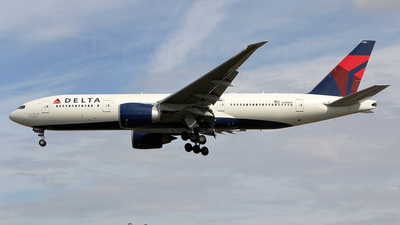 Note: "David C. Garrett Jr"
Note: Rare sight for Manchester! 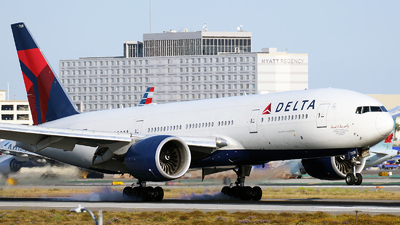 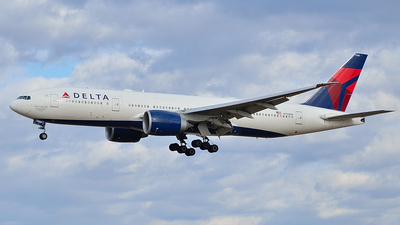 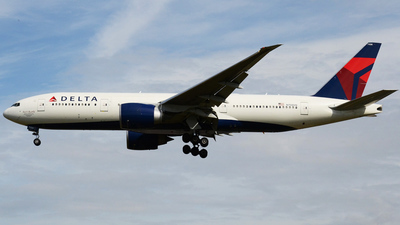 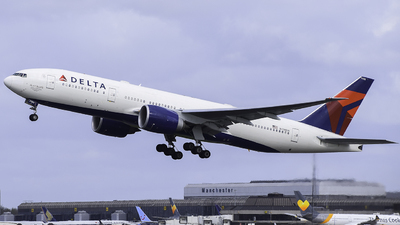 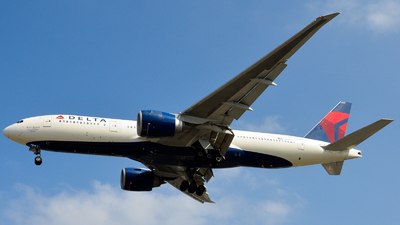 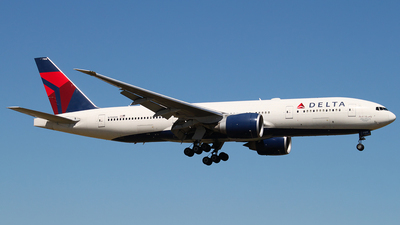 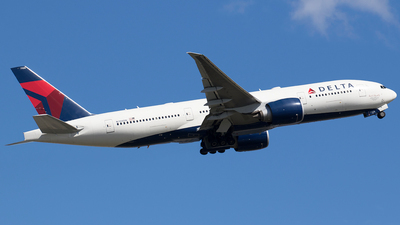 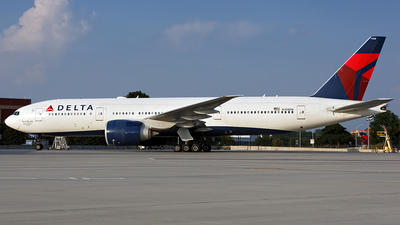 Delta 777-200LR operating the Manchester to Atlanta route for a few weeks in April 2017! 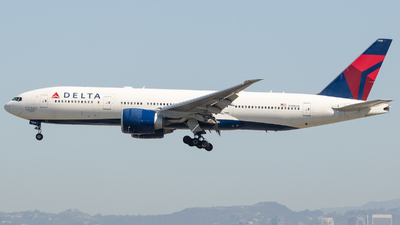 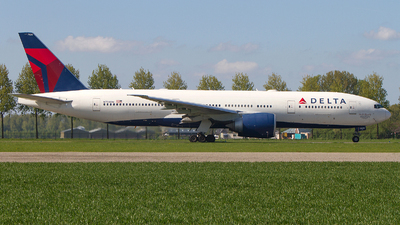 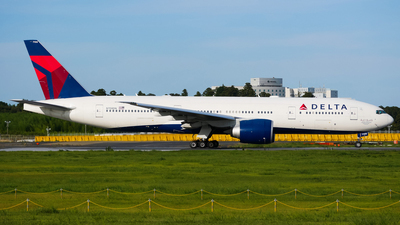 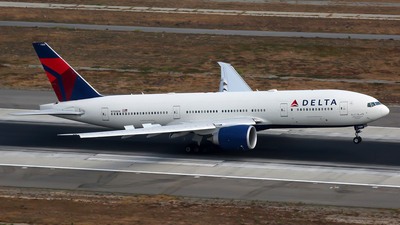 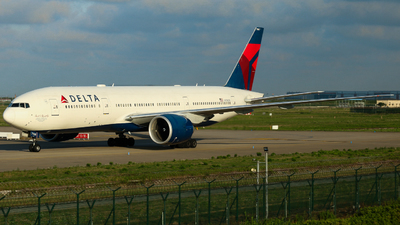 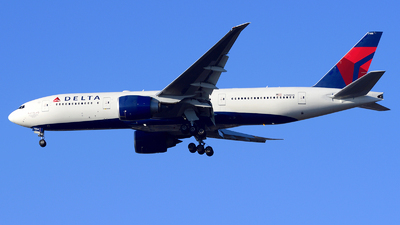 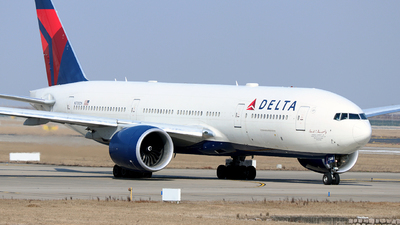 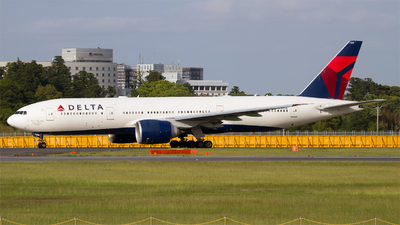 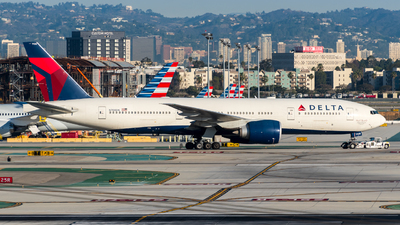 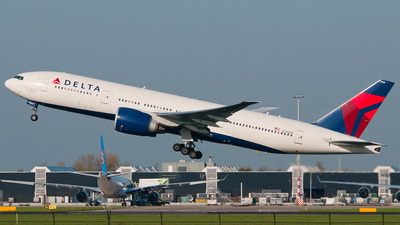 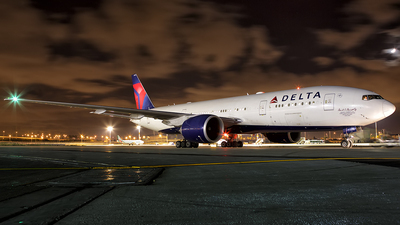 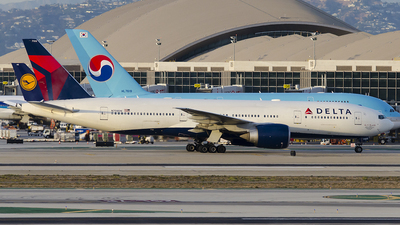 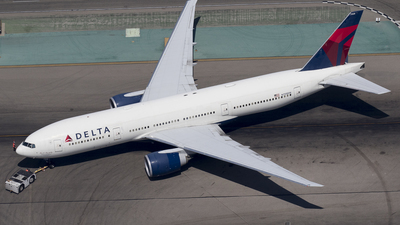 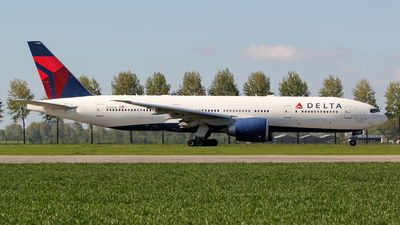 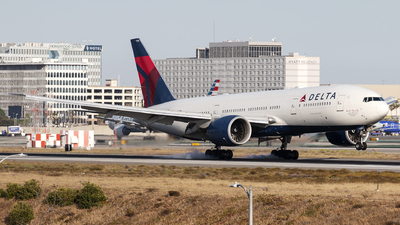 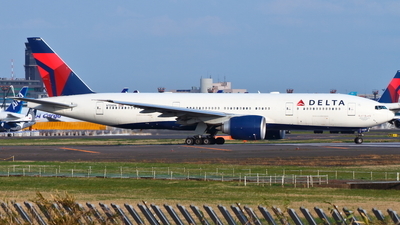 Note: Departing from runway 25R, this 777-232LR was delivered on 4th June 2009. 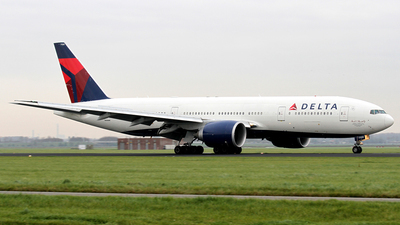 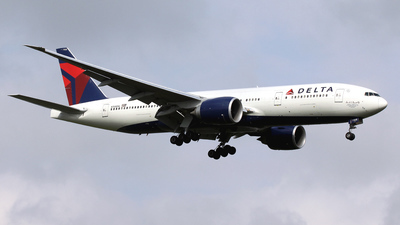 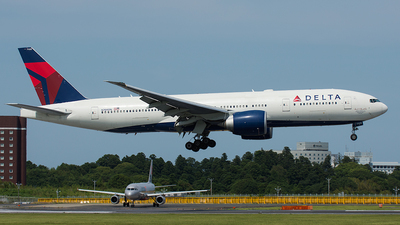 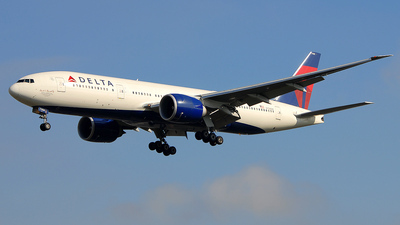 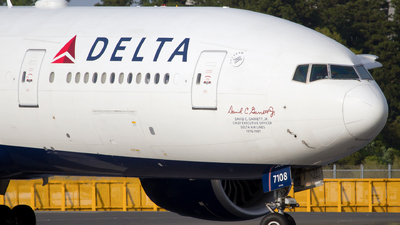 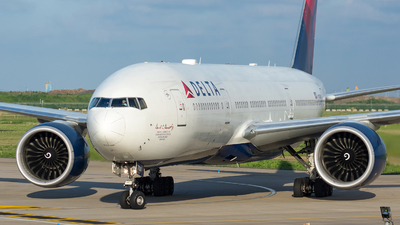 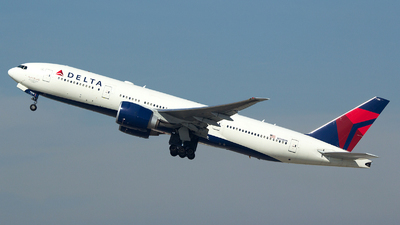 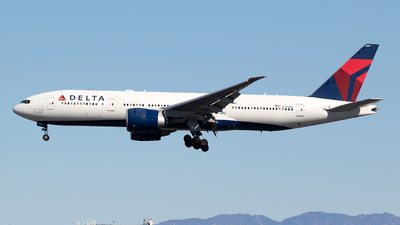 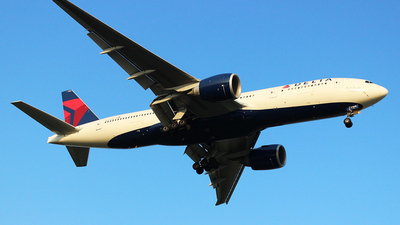 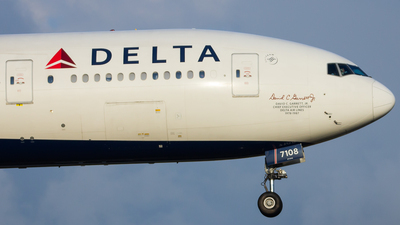 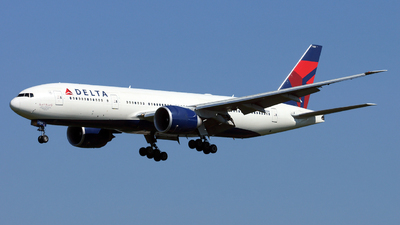 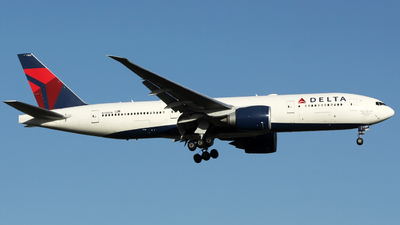 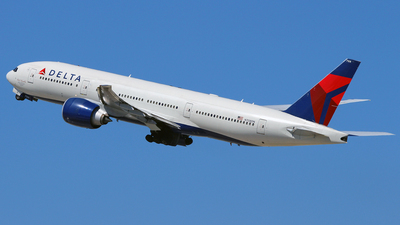 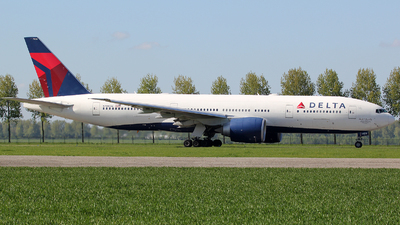 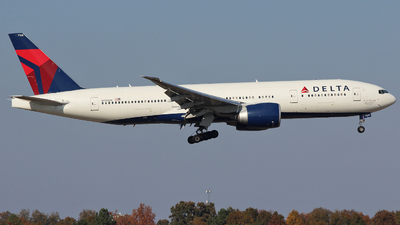 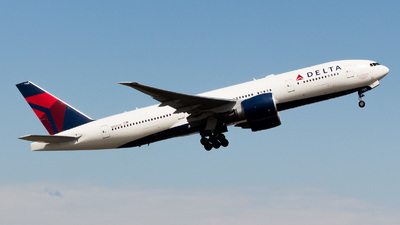 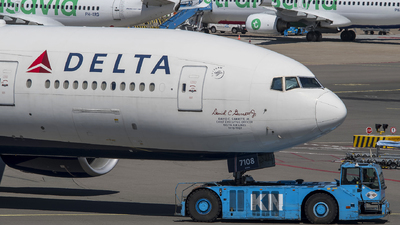 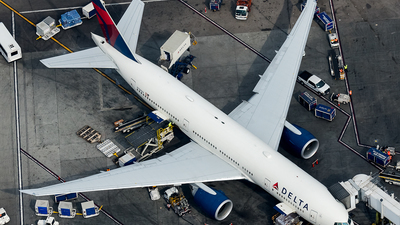 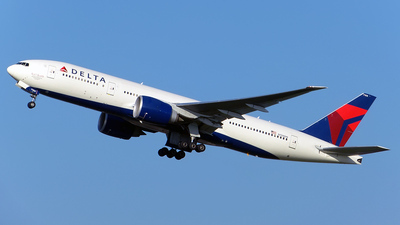 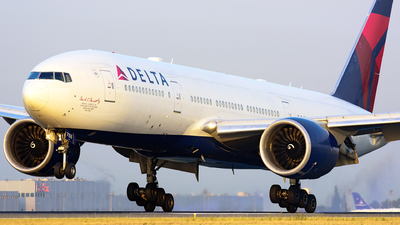 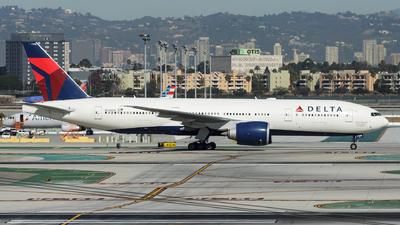 Note: The inumerable Delta flights here use mainly A330s and 767s but there is usually one with 777 (and sometimes 747). 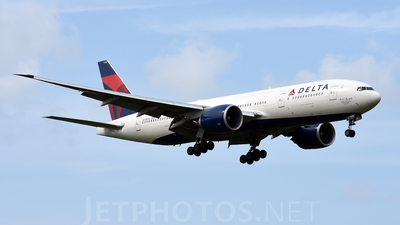 Note: Arriving at KDTW on RWY 22R.